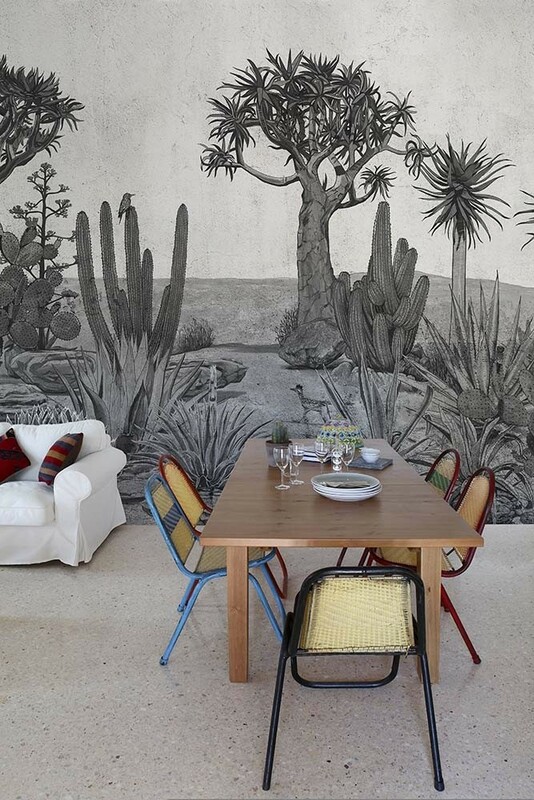 A desert scene wallpaper mural with earthy and evocative colours, this striking mural will bring the tropics to your home interiors. Wall murals like this ought not to be hidden away. 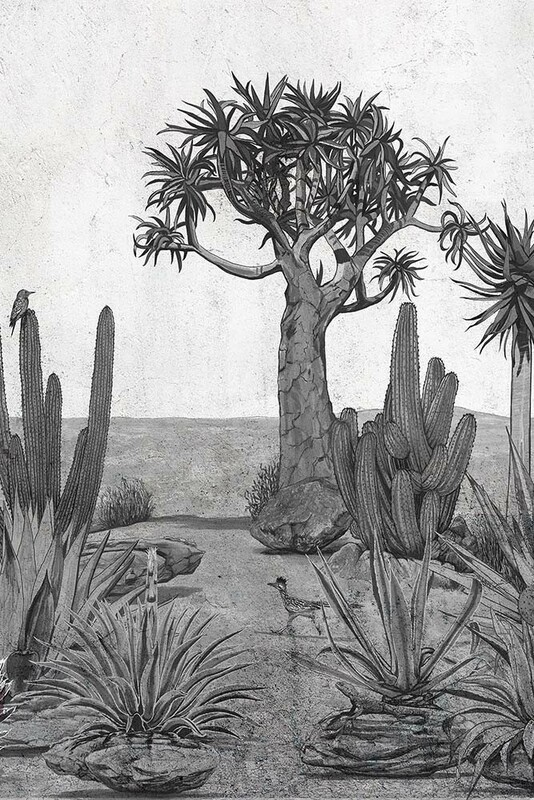 The aim of the game is to create impact, so hang this desert scene wallpaper mural centre stage, such as behind your sofa in your living room, in the entrance hall or in your bedroom. You could even be a little unexpected and hang this creative and colourful wall mural in your kitchen for a super bold and daring look.